If your current SIS is not supported via a direct integration or if you would like to maintain a finer level of control over what data you send over, our Custom Importer is the perfect option. Please note that the file names must be exactly the same (case-sensitive) and the headers must be left as-is-- if you change the header row, your data will not be imported properly. Each subsequent row is required to have the same number of columns as the header, but most fields can be left blank if you'd like. The only fields that are strictly required are any ID fields as they are what we use to form relations with your data. With this in mind, please setup your SIS to export the desired data in the specified formats according the the templates or script appropriately. 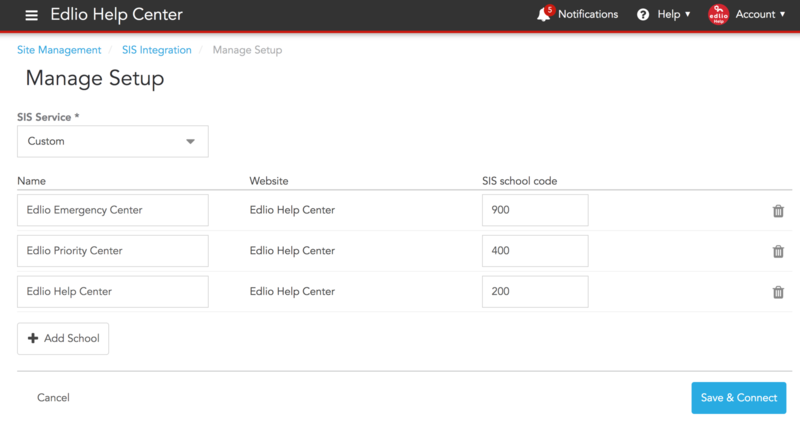 After selecting custom, you can add as many schools as you need and assign them to their appropriate websites using the dropdowns. 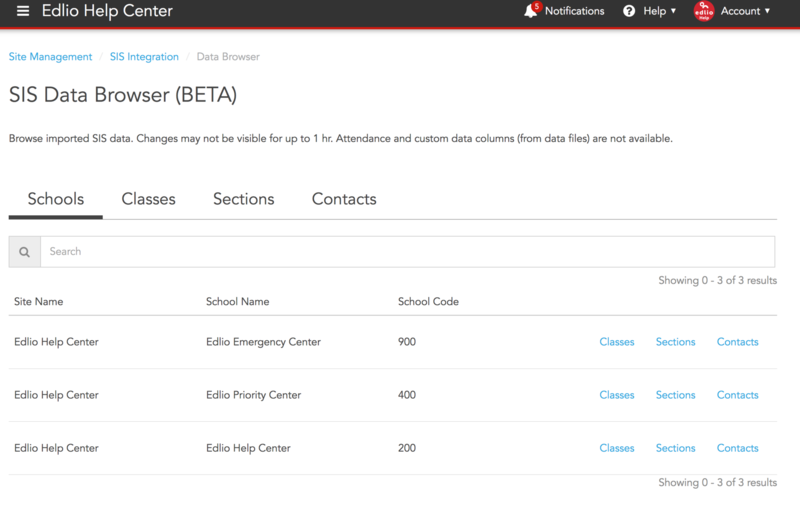 The SIS school code column on this screen will be used to match data from the SchoolId column in the CSVs you created. 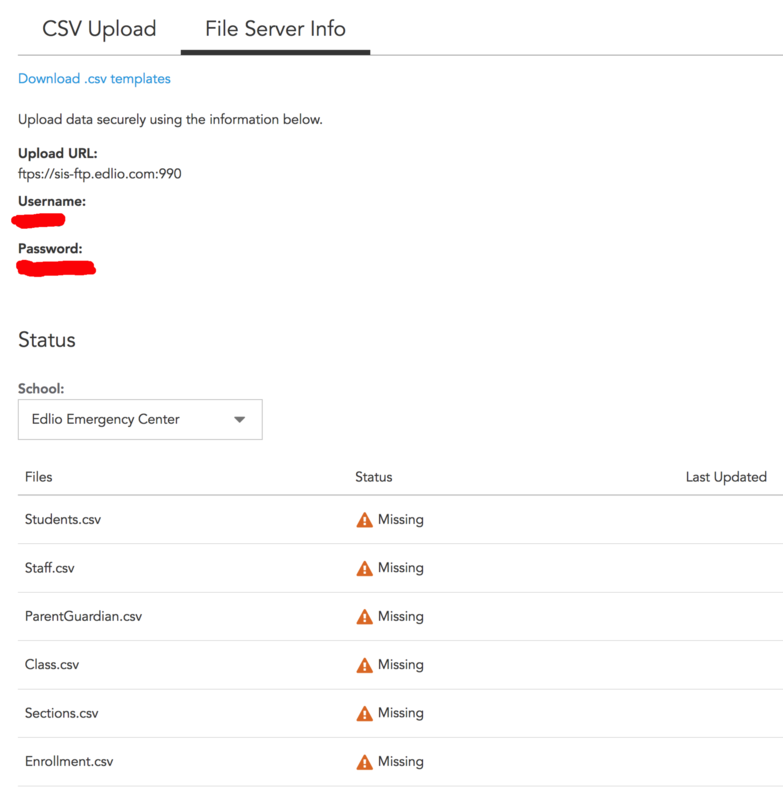 From here you can upload your CSVs through the UI and watch them sync to your schools. After dropping in a file, it may take a few minutes or so for your school to finish syncing. Once every file shows as successful, your data has been fully imported! While uploading the CSVs through the UI is convenient for our testing purposes, it's quite tedious to do every single time there is a change in the SIS data. To remedy this, we can use FTP to automate the process! You can take the credentials generated for you on this screen and connect using FileZilla, WinSCP, or your favorite FTP client. Please note that ftp:// traffic is actually forwarded to ftps:// to keep your data secure. After about a minute, you should see the file disappear from the server-- this means we've picked it up for processing. 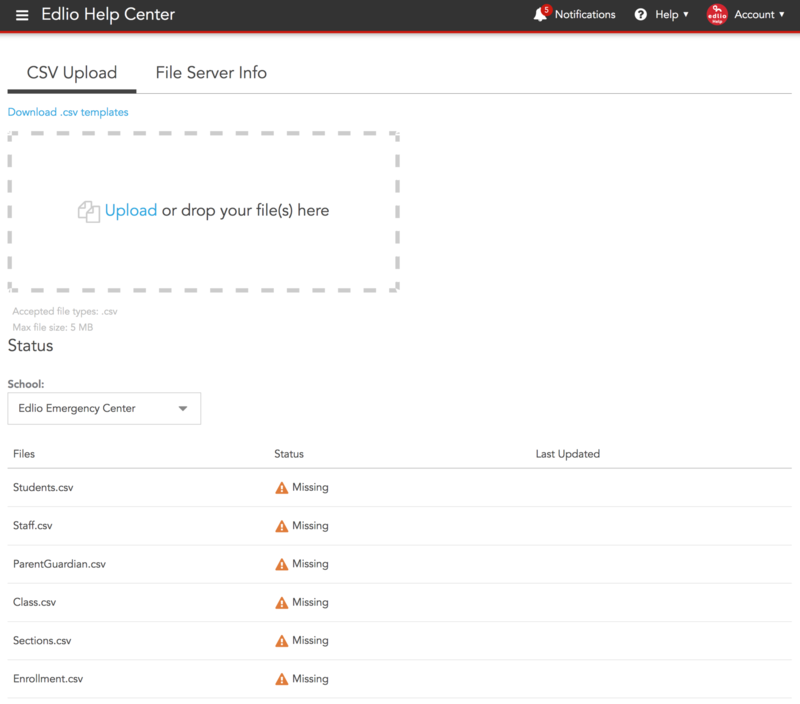 Just like the web UI uploads in the previous section, you can monitor the sync status on the CSV Upload or File Server Info screen. From here you can either automate your uploads through your client or by setting up some local scripting.